March 10, 2016, 10 a.m.
A restorative spiced elixir from Warren Bobrow's "Cannabis Cocktails, Mocktails and Tonics." Warren Bobrow likens his fascination with cannabis cocktails to that of a bitters aficionado: in his eyes, adding the herb to his cocktails is just another way of experimenting with depth, balance, and flavor, not unlike the effects bitters can have on a drink. "It adds very green tasting notes and aromas, and I find that to be quite beguiling," he says. (Of course, there’s one thing THC can do to a cocktail that even the finest bitters can’t, which is adding a certain extra psychoactive je nai sais quoi to a beverage.) Bobrow, who will release “Cannabis Cocktails, Mocktails and Tonics” through Quarto Publishing this summer, has spent years experimenting with various drinks, tinctures and modifiers that give a little more buzz than your average alcoholic concoction. Whether you’re on-board with the idea of marijuana mixology, or you think the whole idea is a misguided liability straight out of the pages of a bad frat party, these methods and ideas are at least worth discussing—particularly as recreational pot legalization slowly grows throughout the U.S. So, we decided to invite Warren to do a live-streamed Shake Up to talk through his ideas and explain his approach. First, a few obvious but necessary points we must acknowledge: if marijuana has been outlawed in your state, don’t try this at home. It’s illegal. And don’t try this at your bar, period. Warren makes it clear that his recipes are intended for non-commercial, home use only, and only in states where recreational cannabis is legal. Finally, while Warren does sing the curative praises of cannabis and its alleged healing properties, he is not a physician, so not a word of this should be construed as medical advice. That being said, if you’re curious about the whole phenomenon, read on for the highlights and check out the full video recap below. In layman’s terms, the process of decarbing uses heat to release the specific molecules in THC that, as Warren phrases it, “give you the feeling you’re looking for.” It’s a necessary first step for any mixology-related experimentation with cannabis, assuming you’re after the psychosomatic effects and not just the flavor. Warren’s go-to method involves wrapping your product in a heat-safe turkey roasting bag (to preserve aroma and flavor), and giving it three 1.5-minute nukes in the microwave, though other methods include running it through a toaster oven at 240 degrees for about an hour. Either way, be sure to open your windows and expect your home to reek for a bit. Warren made it very clear that he strongly advises against partying too hard with these elixirs. Rather than slamming pot cocktails to kill two vices with one stone, he recommends taking it easy with no more than one drink per hour. He sees them more as a health tonic than a pre-game power hour fuel. “The terminology for the book is healing, not ‘obliteration’,” he says. Plus, he says, pounding a few of these just to send your brain to Jupiter sends the wrong message to people less familiar with cannabis culture. 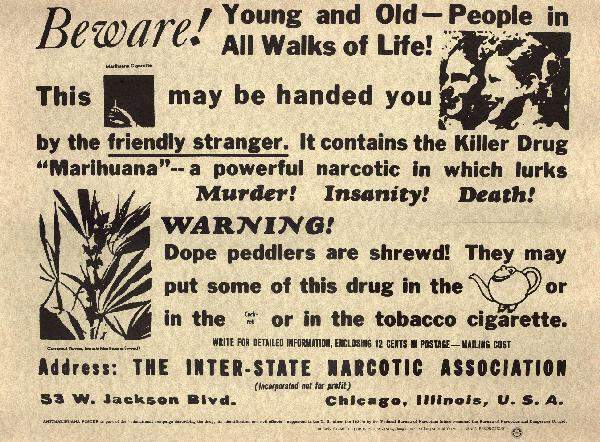 You wouldn’t want to send perception of potheads back to Reefer Madness times, would you? You wouldn’t treat a bottle of classic London Dry the same way you would a juniper-forward, botanical-driven craft gin, would you? The same could be said for individual strains of cannabis, according to Warren, who read from the section of tasting notes in his book. Pineapple Kush, he says, has notes of pineapple, mint, and burnt sugar, and makes a great addition to homemade orgeat in a classic Zombie, while Thin Mint Cookie’s sweet peppermint notes make a great additive to hot chocolate in the form of canna-butter. Overall, though, Warren recommends sticking to sativa strains for daytime use and indica strains for night.